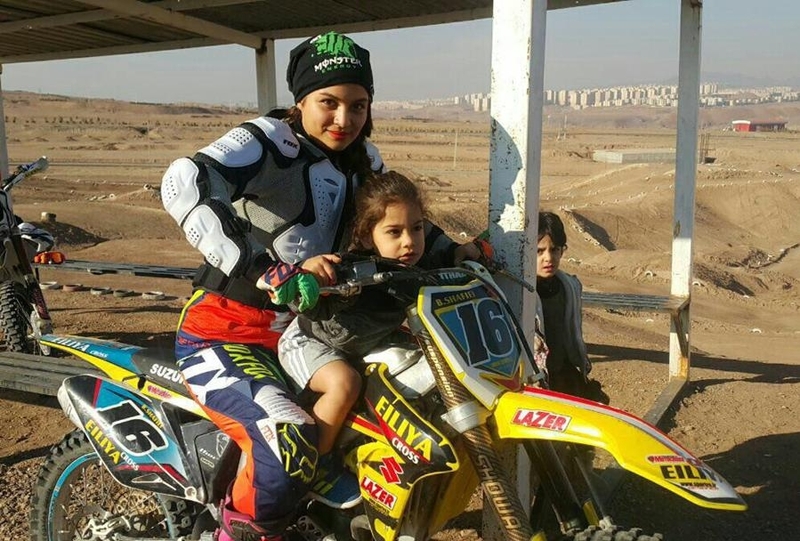 It is February 3, 2017 and Behnaz Shafiei and 15 other Iranian female motocross racers are shoveling snow off a dirt race track in Iran. The women work in a valley framed by the foothills of Iran's Alborz Mountain range near the city of Karaj, 12 miles West of Tehran. The cold metal of their shovels hits the dirt some 6 inches below as each woman heaves a piles of snow out of the way. Puffs of vapor form and disperse with every breath. Sweating in the piercing wind, the women know they should conserve their energy. But today is too important. 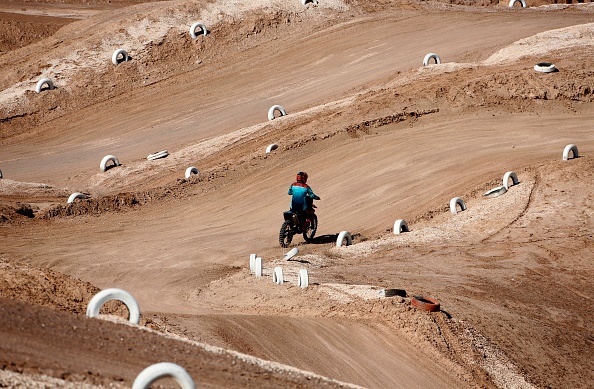 The clearing of this motocross track means that these women can compete in the country’s first sanctioned female race event, possibly changing the future of competition sports for women in their country. In Iran, Islamic law prohibits women from riding motorbikes in public. In January of 2017, after a video was posted online, two women were arrested in the city of Dezful for riding a motorcycle. The two women were riding together on one motorcycle. They were charged with breaking norms and values during what was dubbed as an "obscene" act. 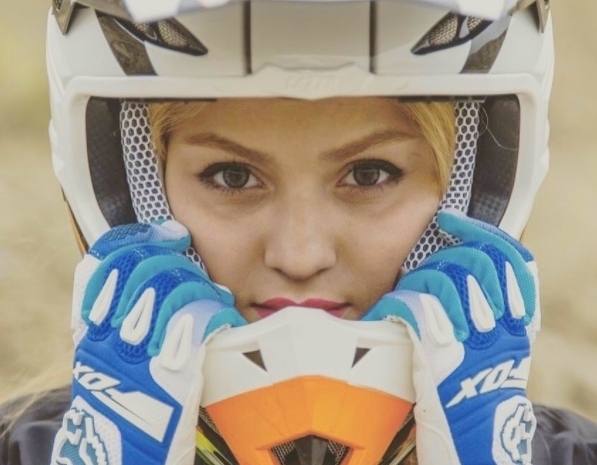 "It is illegal in my country for women to ride motorcycles on public streets or on race tracks; to enter stadiums to watch men’s volleyball and football matches; and to travel without the consent of our husbands or fathers," Behnaz, an Iranian-born motocross professional writes in an open letter to the public. 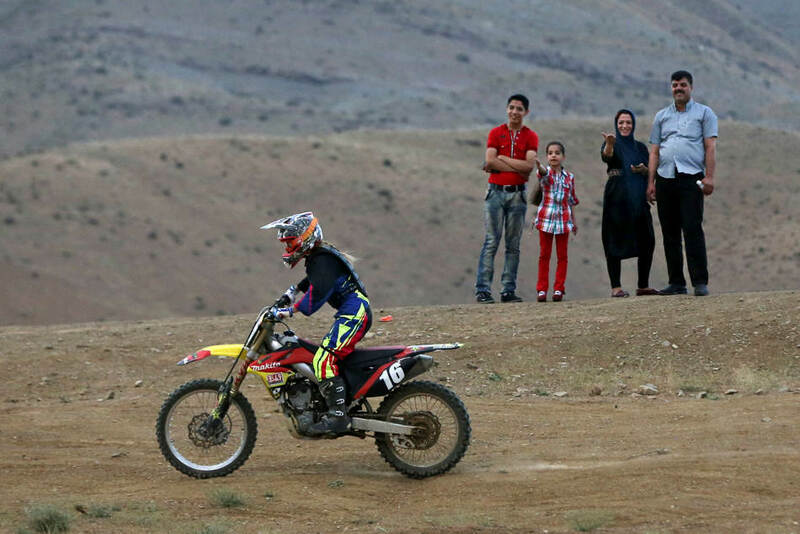 For close to three years, Behnaz, has been lobbying with the Sports Ministry to allow a group of women she has been quietly training to hold an all-female motocross race. 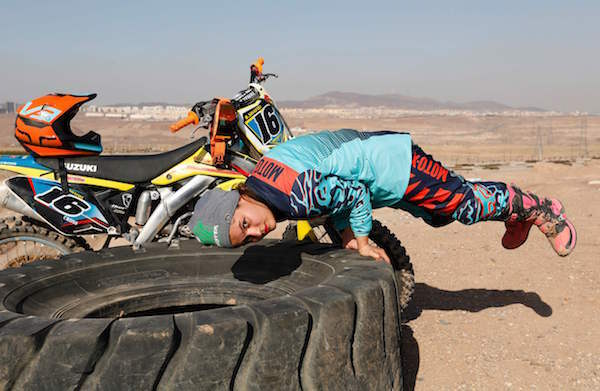 "I showed up at the Ministry of Sports and the Iranian Motorcycle Federation every other day,” Behnaz writes, “ignoring their ridicule and laughter, to issue my requests. Time passed and I watched as the representatives retired and were replaced. Gradually, I developed more allies with the new, younger directors." 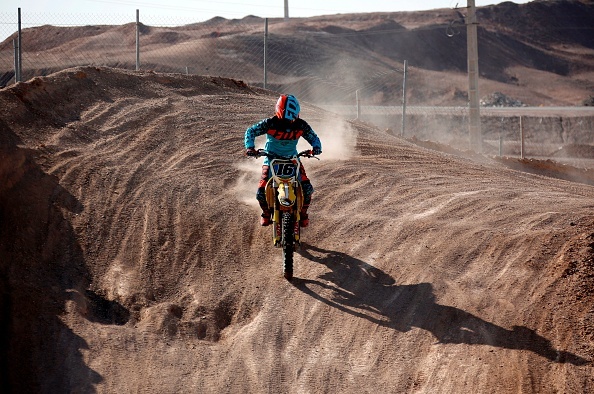 Despite the ridicule, Behnaz argues that the law against women riding motocross put them in more danger because it forced them to practice secretly in remote and dangerous areas, jeopardizing their safety. 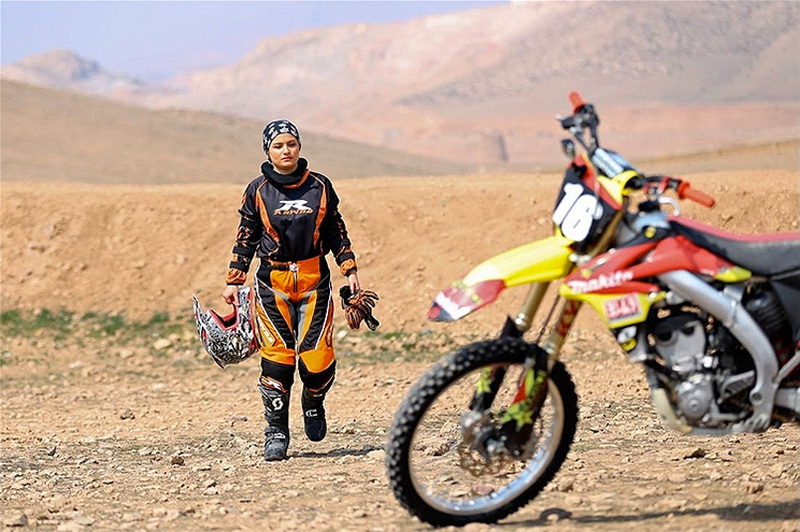 “I’d love to practice on good tracks where there are ambulances and standard equipment," she says, "but we [females] are not allowed, so we have to practice in places that are made by ourselves.” Behnaz and the few other women practice on what she calls “handmade” tracks, since they are banned from riding on any male populated tracks in the area. Behnaz says one of the hardest parts of training is getting her bike to the track without being stopped by authorities. The Ministry considered this; however, it was the women's sporting attire that allowed them to see past. The ministry appealed to Behnaz's arguments once they came to understand that the sport’s helmet and clothing obscured the gender of the rider. So long as their dress was not ostentatious--broadcasting their female gender while riding--it didn't seem to threaten gender norms. The Ministry agreed, on this first occasion, to allow women to race as long as they remained fully covered in a hijab and helmet. It was in 2016 that Behnaz and her group of lady riders were given the go-ahead and received legal backing for a formal all-female race. That is why, on a snowy February day some months later, the group of women organized by Behnaz are shoveling vigorously. 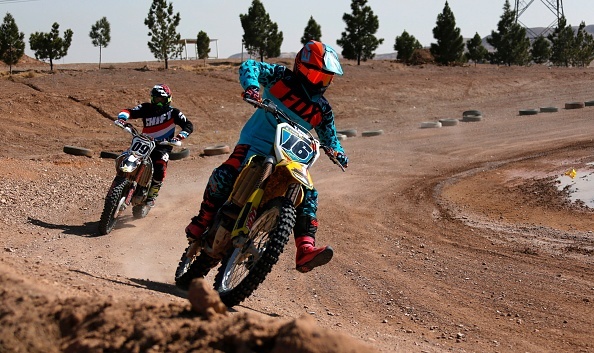 If they can clear the track in time, theirs will be the first ever female motocross race sanctioned by the Iranian Sports Ministry. Behnaz recalls the gritty persistence of her companions that February morning. "The women were so determined. They picked up shovels and cleared the tracks. They mopped up the leftover water. They placed the tires around the track--one by one and by hand--in the freezing cold. Every single one of them was determined that this race would take place." Men, though not allowed inside the area during this all-female event, stood closely by, ready to shut the event down at the first sign of indecency or further inclement weather. But once the track was shoveled, there was nothing that could be done. The women fixed their hijabs, placed their helmet on top of them, and mounted their bikes. Proctored by a group of women judges, the race commenced. Chunks of gravel and bits of leftover powder spewed behind them as they gripped their bars, leaned forward, and readied themselves. Behnaz, a self-taught rider with over ten years of practice, ended up winning the race that day, but she had more than one victory to celebrate. 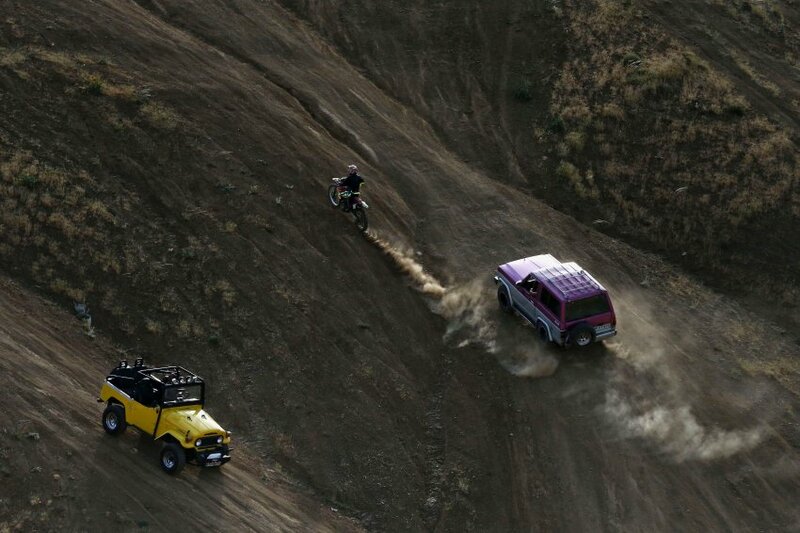 Behnaz has had to pave her own inroads for her off road motocross career. Having grown up in the Alborz Province, close to where the race was held, Behnaz did not see many women on bikes. At age 15, while on vacation with her family in the scenic and rural Zanjan Province in the Northwest area of Iran, she saw a woman traveling to the grocery store by motorcycle. Here, it was less taboo for women to ride openly in the countryside, as they were unlikely to be seen many people in the process. The woman gave awe-struck Shafiei a quick ride and short lesson, after which, Shafiei was permanently transfixed. I disguised myself as a boy and practiced under the dark of night--usually from between 9 p.m. to 3 a.m. to avoid revolutionary guards. On occasion, I was caught, and the reactions were mixed. Some men were impressed that a woman had the courage and skills to ride. But, others were opposed and would strongly condemn and criticize my actions. Once, the guards chased me and tried to run me off the road. Behnaz continued to practice secretly into her twenties. Most of the day, Behnaz spent working as an accountant, steadily saving money for her own bike. Once her skills improved, she began to disguise herself and her gender enough to sneak into practice with her brother and his peers at the local race track. 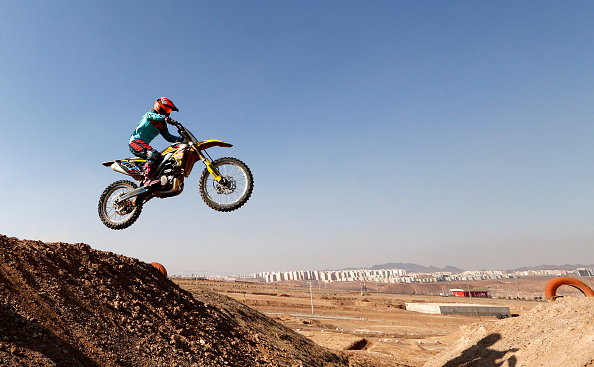 Careful to stay hidden, she trained in the company of the region's best motocross athletes. Since the establishment of the Islamic Republic in 1979, Iranian female athletes have struggled to find a way to follow cultural norms and compete in sports. The more well known conflict was seen in 2011 with the Iranian female soccer team. The athletes’ hijabs, a requirement by law in Iran, were considered a breach of the dress code and thus a violation, according to FIFA, the international federation governing soccer regulations. Due to the hijab, the team was banned from competing in the Olympics despite their skill and qualification. For women who wear the hijab, competing and training in many sports can be challenging if the physical movements are inhibited or a safety concern. As a result, Iranian women participate most often in stationary sports like rowing, archery and chess. However, when it comes to women and sports, Islamic Sports Scientists don't take issue. The country, nor the country’s religion, explicitly ban women from sports. The considerations are more subtle and more entrenched in questions of modesty: Must women engage with men during the activity? Does it require them to remove their hijab? Does it promote expressions "unbecoming" of women, like garishness, superficiality or aggression? Complicating the matter is the sentiment that many Westernized sports are seen as illicit due to their intrusion on traditional Islamic culture. Certain western sports can seem like a metaphor for the influence of western globalization: Women engaging in western sports like soccer or basketball can be seen as women embracing the western world instead of honing in on local traditions. Additionally, concerns with women in sports is, arguably, as much about religion as it is about culture. The ancient teachings of Islam and the words of the prophet Muhammad espouse the protection of women as sacrosanct. Women are to be protected, by veil or by the protection of walls between the woman and the outside world. Choosing to engage in sports can be seen as a denunciation of said values. When women choose to engage in sports, they are choosing instead to engage in the kind of competition, suffering and exposure to the world that their religion has tried to protect them from. It can be seen as a sign of dismissal from the life and protection that Islam prescribes. This is all to say, that the matter of Muslim women in sports is complicated. It is difficult to parse out the influences of Western globalization, traditional patriarchy and Islamic law. For Behnaz, movement toward female inclusion in sports, in any regard, is a step forward. "I was not born a women’s rights advocate. But I was born a woman. In Iran. And from an early age I learned that discrimination was a part of nearly every aspect of an Iranian woman’s life. As women, we’re banned from attending sports matches in stadiums, and leaving the country requires permission from our father or husband," she says. However, Behnaz reminds us that in some ways, it wasn't much different for women in the United States. "Slowly--too slowly--Iran is changing the way it regards women. But there is still a long way to go. It takes time and perseverance. Remember that American women fought for nearly 100 years before they were finally allowed to vote in 1920. And since then, America has only inched closer to gender equality in business, in politics, in the arts and in sports." The slow tide of change and the criticism only fuel Behnaz’s motivation. "You know how, when you tell a child not to touch something that's hot, she just wants to touch it more to check? Same for me," she says. "Riding my motorbike seemed to me like a pretty normal thing for a woman to do. When I saw how people reacted with shock . . . it just spurred me on." It was this attitude that attracted the attention of Danish design company Georg Jensen, who featured a select handful of women, including Behnaz, in an advertising campaign that celebrated women who push the boundaries of their industries. Behnaz is no longer an accountant. After her 2017 win on the racetrack and with the Sports Ministry, she decided to pursue motocross full time. She both trains and teaches other women. Behnaz has successfully trained 117 women and teenagers how to ride. It is her current goal to obtain a license to teach professionally. In fact, in early 2017, she traveled to the United States in hopes of establishing relationships with sponsors to help build her network. Her travel and US training was sponsored by Hooman Tavakolian of Tavak Partners. Tavakolian secured a visa for Shafiei before US President Trump's executive order banning people from seven Muslim-majority countries from entering the United States. Tavak Partners is a sports diplomacy consulting firm representing causes and clients worldwide. Based in New York, the firm is noted for its successes in sports diplomacy, global peace initiatives and promoting gender equality in sports. In a conversation with Behnaz, we were able to learn more about her training and upbringing, her experience during her US travels, her relationship with fear and grit, and the experiences that have forever changed her on and off the track. 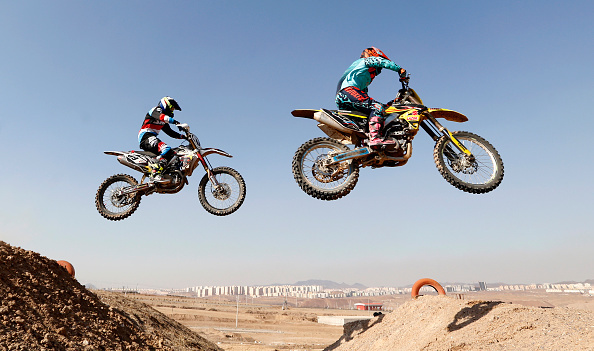 What is the most challenging aspect of training motocross? The hardest is to get my motorcycle to the race track, cause if i get caught on way, they will take my bike away. then i have to spend a week trying to get it out of impound. i also face lack of sponsors and also money to live. these are my biggest worries and challenges. Since returning to Iran, i was able to get permission to train females at the all male azadi race track. they gave us monday and weds, all female which is huge step. Why do you think women are legally discouraged from sports in Iran and other countries? In Iran the issue was the Islamic hijab, clothing and how females would ride and observe the Islamic Law. In my opinion, the region and the neighbor countries don't want the female to advance and get powerful. They have an issue with empowering women. Maybe they are worried we will take over. Ha. What about your personality has helped you succeed as a rider? I owe my success to the fact that I am stubborn and refuse to give up and i am a fighter. When people used to tell me you cant do this or that. I would prove them wrong. Were you ever scared practicing motocross at night pretending not to be a girl? I don't have much fear in me. if I was afraid I wouldn't be in this field and go head to head with my opponents. I don't even recognize the word Afraid or Scared. What's one piece of advice you wish someone had given you at the age of 18? My advice would be: Behnaz be strong, Behnaz appreciate your youth, Behnaz enjoy your youth. Is there something you wish you had done differently in your life? If so, what is it? I had a bad car accident when I was young and it caused a lot of head ache for me and my family. If I could go back, I would change that. That car accident took away 3 years of life. I was a careless teenager. I didn't think long term. It became my biggest lesson of my life. That lesson made me the Behnaz now here doing this interview! In my opinion every situation in life is a lesson. Don't take it as a negative or a set back but rather a lesson. Life teaches. What did you say to the Sports Ministry when you were pleading for the allowance of women in motocross? One reason that motorcycle riding was not legal was also because there weren't that many active female riders. so there wasn't too much attention or push for it. They didn't take it serious when we approached. They ignored us. But when we went to the media and they saw the news articles, they realized its serious. We told them that we ride in dangerous hidden places which is risky for females. We voiced our concerns and we were persistent and they realized we are serious. What are the three most important qualities a woman needs to be good at motocross? When you first want to coach someone, you look to see if they are talented, or athletic. For me I look and focus on their commitment. I test them out the first 2 practices to see if they are serious about this field and see if they come back. To see if the student accepts the hard practices and still eager to continue. I had a student who was so committed, maybe not talented, but committed and dedicated. Ninety-nine percent is commitment and dedication. It is key. This student of mine took 2nd place, to me in the race I hosted. Interest, commitment and dedication! What do you do for fun or for work when you're not training? For fun, at nights, late night when I am bored we go motorcycle riding and go grab a bite. We talk motorcycles. My life revolves around motorcycles. 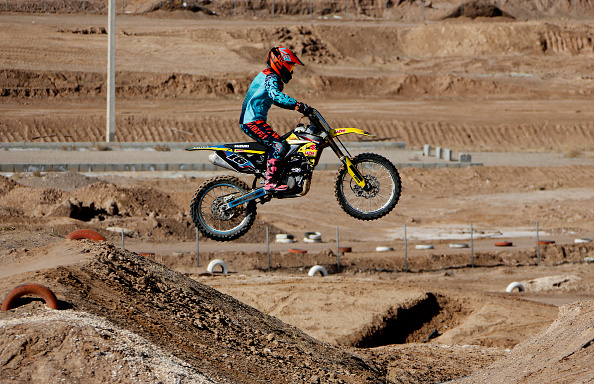 Do you have a significant other and what was their first reaction when they learned you rode motocross? Are they also an athlete? I am single. I live with my brother and mother. My brother always supports me, he is with me. He rides with me. My mom is proud of me. But she didn't support me at first. But when she saw my passion and my accomplishment, she gave in and became my biggest fan. Only and only my mother. She is my biggest supporter, she stuck with us. She is the champion of my life and our life. She didn't stop me from going after my dreams. Did you really have to shovel snow off of the race track in March for the first allowed women's race? Yes, it was in middle of winter, weather was good when we were training. day or two before the race we went to race, then saw the snow. we drove around with our cars to wipe the road, each participant helped., we got shovels and got the track ready,. this showed how dedicated the females are. Has your trip to the US been a success in procuring support and training? To be honest not so much.i am grateful to Hooman and Tavak Partners for being by my side and sponsoring. He set up a gofundme and we were able to collect some money. Through friends and family we raised money and it covered some of my expenses and training. We were hoping for big sponsors. I am planning to come back and train again and race and hope we get attention of more who believe in this cause. What makes someone a good athlete? Good athletes are dedicated, have pride from within. One who has dreams and makes those dreams into goals. One who has goals and dreams, and has drive, will ultimately reach them.